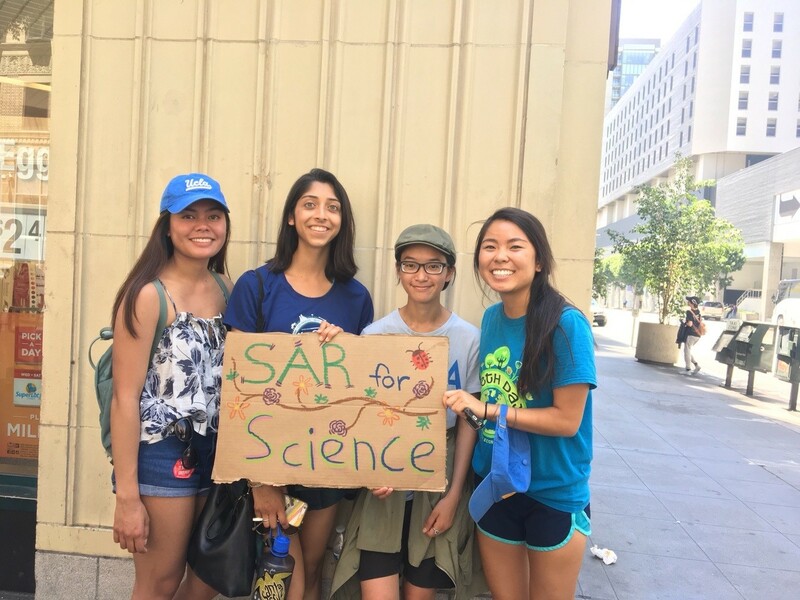 Continuing with our momentum from the Earth Day fair last Thursday, the Biodiversity team participated in the March for Science in Downtown LA last Saturday with many of the other SAR teams. It was inspiring to see how many people came out to support science and motivated us to work on outreach at our own site of Sage Hill all week. We started that off with a successful BioBlitz on Monday. 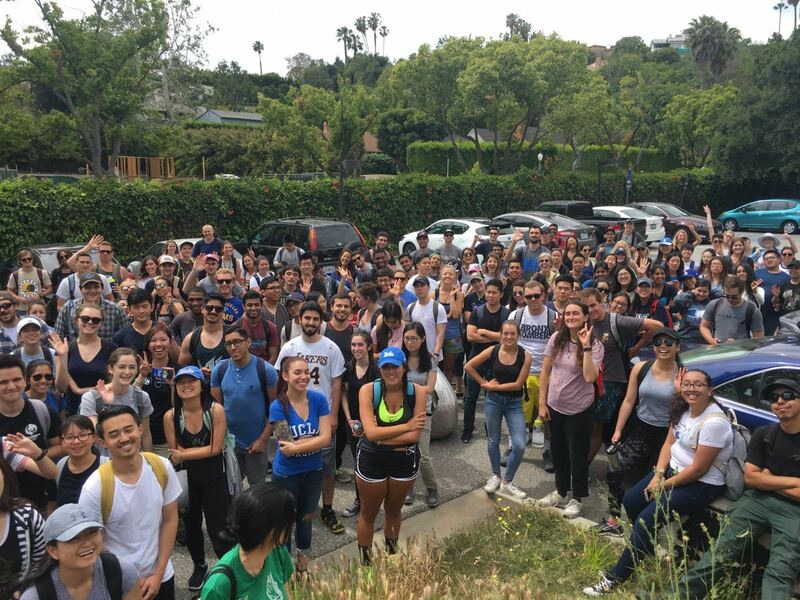 Students in Professor Gillespie’s classes, a writer from the Daily Bruin, UCLA staff members, and members of the public all showed up at Sage Hill ready to weed, water, plant, and learn about the natural area of campus. One woman participating in the BioBlitz commented that she had initially thought the hill would have just a couple of types of plants but that she was instead surprised to be constantly seeing more new flowers, grasses, and lizards. That biodiversity she described is exactly the goal of protecting native plants, so we were happy to hear that it was so visually apparent to a visitor at the site. To help spread this kind of awareness further, we are finalizing the content for our sign. It will educate people about the native plants and animals even when Professor Gillespie is not there to identify them as he is during the BioBlitz. We are also planning to present our research at the Undergraduate Research Poster Day, so preparing for that has been another one of our goals. Over the next few weeks, we are excited to begin analyzing our data we have collected and designing a poster to share that with the UCLA community.